You'd like a webstore built but don't have the time/inclination to sort out every detail. You're not sure which ecommerce software would be best suited for your internet presence. You don't want just a means to put your products on the web, but also assistance in developing your profile. You've seen and/or tried out an ecommerce package but found it too time consuming or complex, to spend your limited resources on getting the site running smoothly. Let ejSolutions take away most of that burden, allowing you to concentrate on the business aspects. Advice/assistance can be given on how to populate your products on to your webshop. Help given for product naming, picture/photo adjustments, template designs and site layout. Ongoing management of your valuable asset, with assistance to resolve any software bugs or deficiencies. Have a look at the Services tab, for further information on maintenance plans. ejSolutions provides facilities for you to fully manage your site if you so wish, or you can offload the management of the site at a very keen rate. 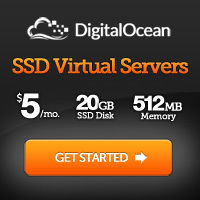 Don't risk time and effort hosting your e-commerce site on cheap/free over-subscribed servers. Secure and proven hosting for osCMax, osCommerce, Prestashop and Storesprite. Base software installation included (if required). Upgrade at any stage to a full maintenance pakage. FREE osCmax hosting sampler option - limited stock. Are you a Small to Medium Enterprise? Looking for a way to start a webstore to sell your products online? Dissatisfied with your current website/webshop? Wish to migrate from one store to another? Needing some help at a modest rate?